SILVER SPRING, Md. 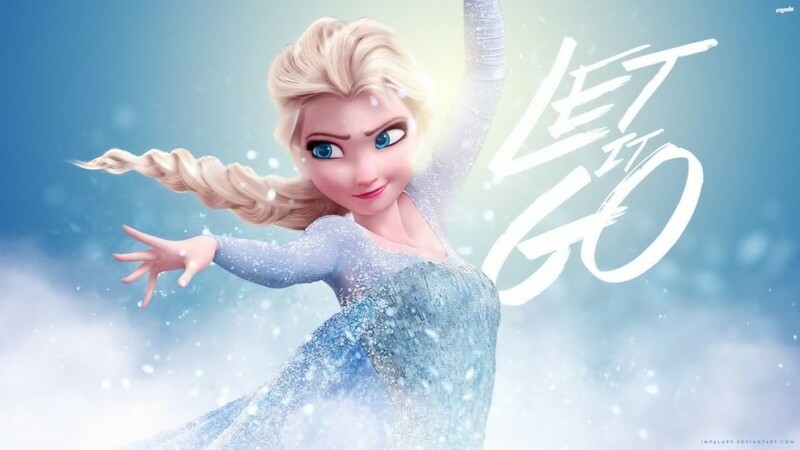 --- The song "Let It Go" from 2013 Disney animated film Frozen, has been chosen by the Adventist Church as its official coffee -quitting anthem. "Just as Elsa had to let go of the baggage of the past to embrace her beautiful new future, we encourage all coffee addicts to let go of their daily lattes to enjoy a less jittery life," said General Conference Director of Cessation, Mayy Granes. She said that the GC had obtained rights to use the song at Adventist health expos where attendees are encouraged to quit coffee. "Let It Go" will also be added to the latest edition of the Seventh-day Adventist hymnal. Granes said that despite the song's secular origins, it's noble new purpose means that it can practically be played during the doxology. "Just don't wear an Elsa wig to church," said Granes. The song should be-“Let It Be, Let It Be”. ALso, your Elsa is not diversified enough for me. I want an alternative or there will be litigation real soon. Wrong. “Let it go” was actually G.C. President Wilson’s plea to recently-fired Director James Combie of the S.B.I. (Scriptural Bureau of Investigation). According to the Adventist Review, the Director wrote a memo to himself after a meeting with President Wilson in February, where Wilson begged the Director to shut down the S.B.I.’s investigation of collusion between the Jesuits and the anti-Women’s Ordination vote, including mysterious ties between the Jesuits and former advisor Doug Batchelor. The progressives are already calling for Wilson’s impeachment.This stuff is so weird, you can’t make it up. The G.C. Public Relations department has been working overtime today, to contain rumors that GC President Wilson revealed highly-classified information to Jesuit spies in a General Conference headquarters meeting last week, according to current and former GC and NAD officials, who said Wilson’s disclosures jeopardized a critical source of intelligence on the Moonies. The information the president relayed had been provided by an intelligence partner who has inside knowledge of the Moonies. The information was considered so sensitive that details have been withheld from allies such as the Baptists and Methodists, and tightly restricted even within the G.C. intelligence agency, officials said. However, consultant Doug Batchelor held a press conference where he pushed back on the claims of anonymous sources. He declared: “Here’s an amazing fact: President Wilson and the Jesuits simply reviewed common threats from Moonie cultist organizations.” Batchelor emphasized that he was in the room; he participated in the meeting while on a break from his interview for the position of FBI Director, as he hopes to replace James Coney. “At no time were any intelligence sources or methods discussed, and no secret operations were disclosed that were not already known publicly,” declared Pastor Batchelor. With that, he sprang some dazzling back-flips and chowed down on some vegan haystacks, and settled down for a long summer’s nap. Amidst the rumors that President Trump may fire Sean Spicer, I see a grand opportunity. I really NEED a PR guy like Sean. Can Dennis Rodman please arrange to export Sean over here to NK? I want to get him before Ted Wilson grabs him! On May 17, the G.C. General Counsel’s office named Angel Rodriguez, the former Director of the S.B.I. (Scriptural Bureau of Investigation) as Special Counsel to investigate the Jesuit’s meddling in the women’s ordination election in San Antonio. Rodriguez will have will have sweeping powers, including the right to bring charges against G.C. officers and administrators in the ecclesiastical court or in full G.C. Session. The appointment was praised by progressive SDAs and even some conservatives. It has long been suspected that the Jesuits influenced the vote in San Antonio and that President Ted Wilson or his staff colluded with the Jesuits, and indirectly with the Pope, to push the anti-WO agenda. Those concerns intensified last week when Wilson suddenly fired S.B.I. Director James Coney, who was conducting the investigation. When the G.C. General Counsel’s office named the appointment of Rodriguez as Special Counsel, President Wilson issued a tweet-storm assuring the church that an investigation will not reveal anything. “I’ve said all along that I didn’t collude with anyone; my views just happened to be influenced by Rome, through osmosis,” said Wilson. He also pointed out that nobody has actually seen Coney’s alleged memo yet. “This may be a tempest in a Postum pot,” he said. I have been shown that President Teddy Wilson begged Seminary president Dr. James Coney to pledge loyalty to Wilson and his stance against women’s ordination. Dr. Coney politely declined to pledge allegiance to Wilson, and Coney was suddenly relieved of his duties a couple of months later. Dr. Coney was not the one who should have been fired. What is the church coming to? Hey, Brother Kim-I’m gonna send Phil Jackson & Kris Prizingas to assist in this operation. Call my office ASAP. Set up a time & location. Best regards.